It's that time of year again! 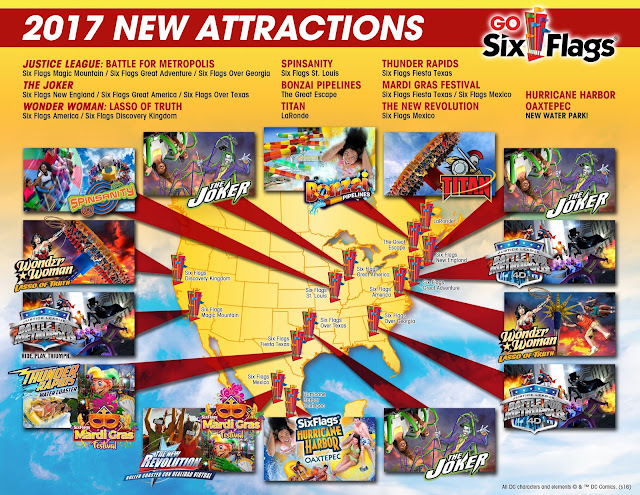 Six Flags has announced all their New 2017 Season Rides/Attractions for EVERY park Nationwide. Scroll down below to find out what your home Six Flags park is slated to receive! 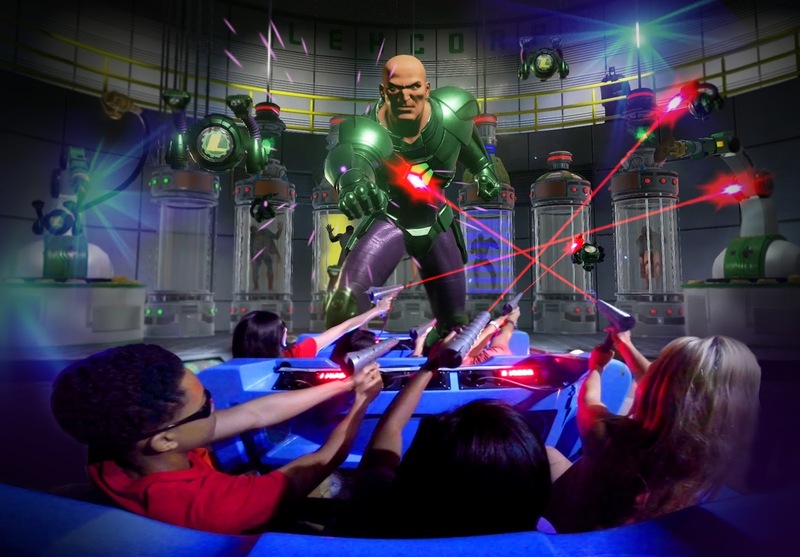 Six Flags Magic Mountain — in partnership with Warner Bros. Consumer Products on behalf of DC Entertainment — today announced the newest innovation in immersive thrills, JUSTICE LEAGUE: Battle for Metropolis — Ride. Play. Triumph. 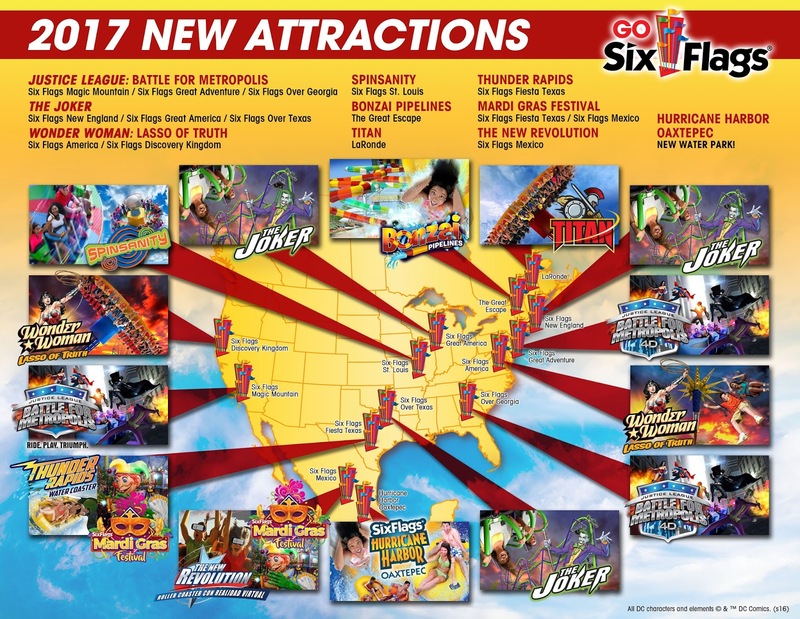 The next generation of the award-winning Six Flags ride will now feature a spectacular new finale, new game targets and the introduction of one of DC’s hottest Super-Villains, Harley Quinn. This cutting-edge attraction brings riders into the DC Universe featuring interactive content in one of the first-ever virtual 360-degree loops on an attraction, and interactive 180-degree toroidal screens that allow riders to experience state-of-the-art gaming while riding in six-passenger pitch and roll motion-based vehicles synced to custom action-packed scenes featuring the most iconic DC characters. 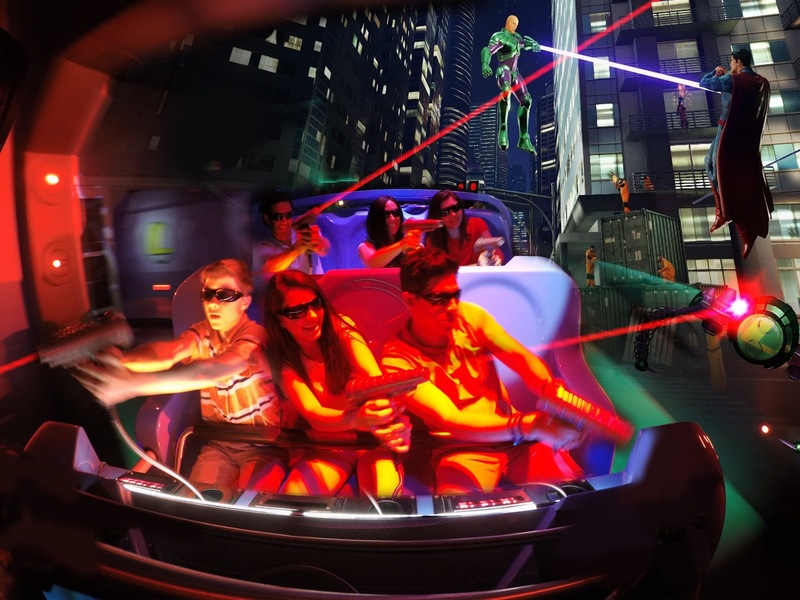 Slated to open at the Valencia theme park spring 2017, riders will become members of the JUSTICE LEAGUE Reserve Team in a multi-sensory four minute game experience with wind, fire, fog and special effects as they battle alongside the iconic Super Heroes, Batman, Superman, Wonder Woman, The Flash, Cyborg and Green Lantern to save the city of Metropolis from Lex Luthor, The Joker and his henchmen. Also wreaking havoc will be Harley Quinn, The Joker’s favorite sidekick. Designed and built by Sally Corporation, the Jacksonville, Florida-based dark ride specialists, and Alterface Projects, the video interactive systems experts, the climactic interactive battle scenes between the Super Heroes and Super Villains include a multitude of special effects and thrilling ride experiences as guests shoot targets and score points against their friends and family while traveling on a high speed chase through the streets of Metropolis. Falling from a bridge, looping through Green Lantern’s construct and battling the Lex Bots in an underground subway station are all part of the interactive content action. Two pre-show rooms featuring larger-than-life interactive characters. JUSTICE LEAGUE: Battle for Metropolis — Ride. Play. Triumph. will be part of an entire area remodel of surrounding attractions, food and retail locations as well as added entertainment. 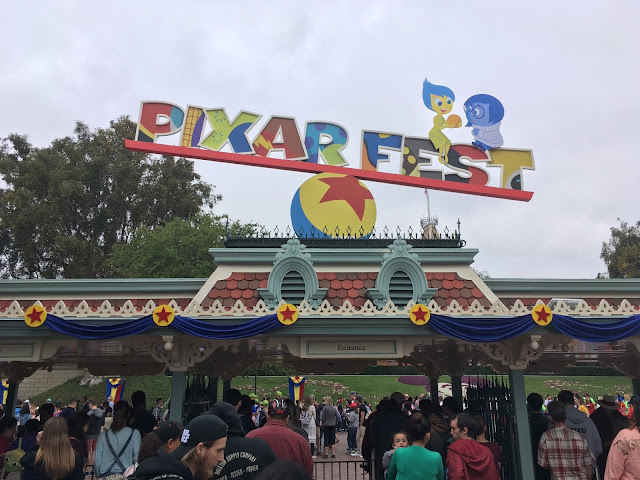 Six Flags Discovery Kingdom, the Thrill Capital of Northern California, in partnership with Warner Bros. Consumer Products on behalf of DC Entertainment, today announced its newest ride attraction, WONDER WOMAN Lasso of Truth, to open in Spring 2017. WONDER WOMAN Lasso of Truth is an oversized pendulum shaped ride that will send guests on a dizzying journey in this thrilling and extreme attraction. WONDER WOMAN, the most iconic female Super Hero, is the embodiment of justice, equality and peace; she is the symbol of female empowerment, as she seeks to fight evil at every turn. As guests swing higher and higher, they will experience a feeling of weightlessness at 147 feet in the air. 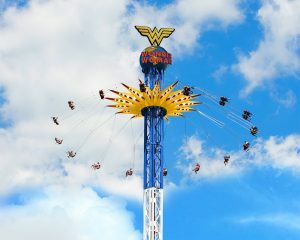 WONDER WOMAN Lasso of Truth will be located near two of the park’s newest attractions, Superman Ultimate Flight and The Joker, which opened earlier this year. 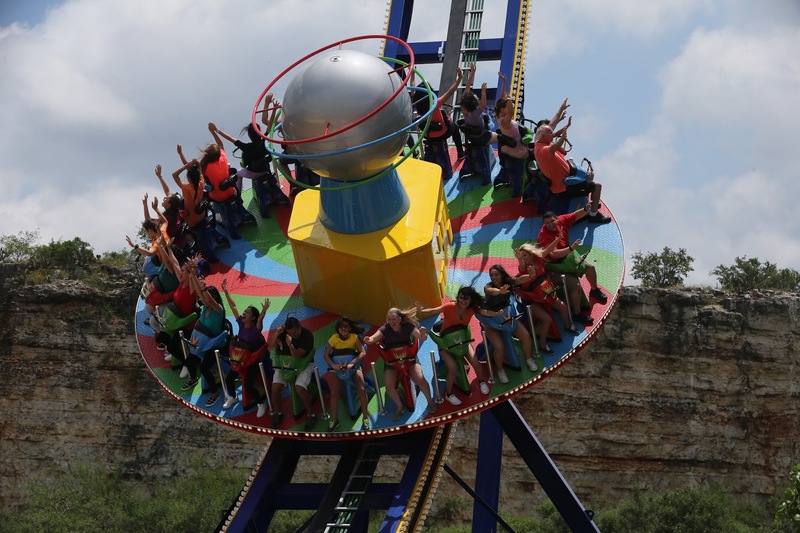 Six Flags St. Louis, the Coaster Capital of Missouri, will send guests reeling with the addition of the new Spinsanity in 2017. This intense thrill ride will give guests a rush of excitement with its dual rocking, spinning motion. Spinsanity brings a different thrill to the park as the massive disc spins first one direction and then another while swinging from side to side. Forty guests sit on motorcycle-style seats facing outward as the disc flies along the 51-foot high half-pipe track all while whirling around at 14 revolutions per minute. The innovative attraction is the first-of-its-kind at the park. 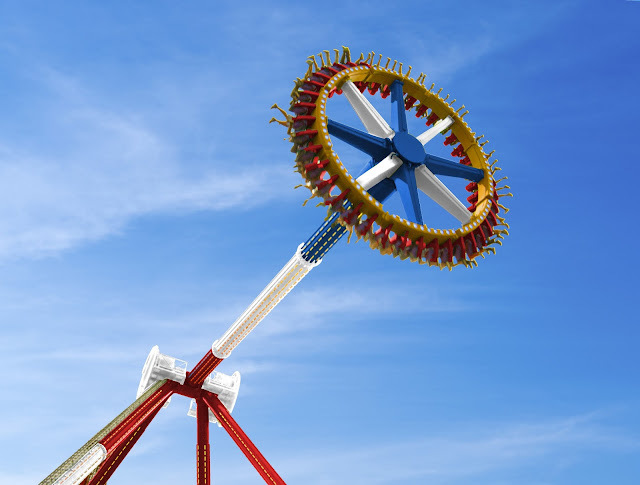 Riders must be a minimum of 48” tall to experience this innovative new thrill ride which will be located across from Tsunami Soaker in the Chouteau’s Market section of the park. Spinsanity is set to open spring 2017. 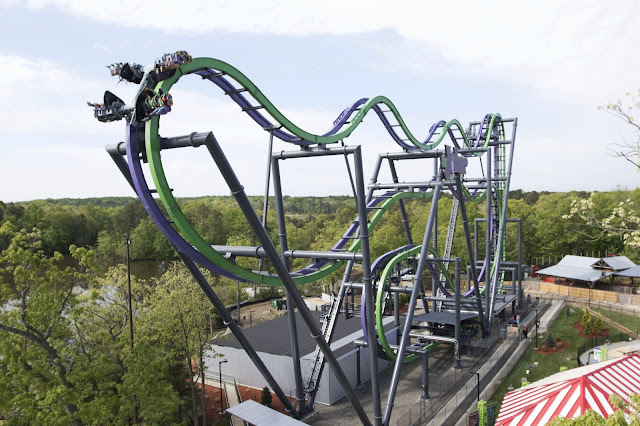 Six Flags Over Texas, the Thrill Capital of Texas, and Warner Bros. Consumer Products, on behalf of DC Entertainment, announces the opening of its 13th and most maniacal roller coaster to date, an all-new free-fly coaster called, The Joker. Now home to the most roller coasters in the Southwest, Six Flags Over Texas is proud to welcome this wicked and chaotic thrill ride to reign supreme as the most dynamic coaster in the GOTHAM CITY section of the park. After being lifted straight up a 12-story, 90-degree hill, the freestyle-coaster will wreak havoc as riders flip head-over-heels at least six times along the weightless journey. Thrill seekers will experience exhilarating leaps and dives along a horizontal plane, along with unexpected drops as they tumble from one level to the next. The wing seats amp up the pandemonium since riders will experience all of this chaos with no track above or below─ just the sky, ground and plenty of sinister thrills. Two beyond 90-degree “raven” drops giving the sensation of free-falling. The Joker is expected to wreak total mayhem beginning in the spring of 2017, and reign supreme over the Super-Villainous roller coasters in the GOTHAM CITY section at Six Flags Over Texas. Thunder Rapids – North America’s first rocket blast water coaster. This state-of-the-art attraction is part roller coaster, part water slide, featuring a custom-designed inline raft and new water jet propulsion technology for lightning-fast uphill speeds and adrenaline-pumping drops. Guests will also encounter four high-banked flying saucer turns throughout the 942-foot long structure. 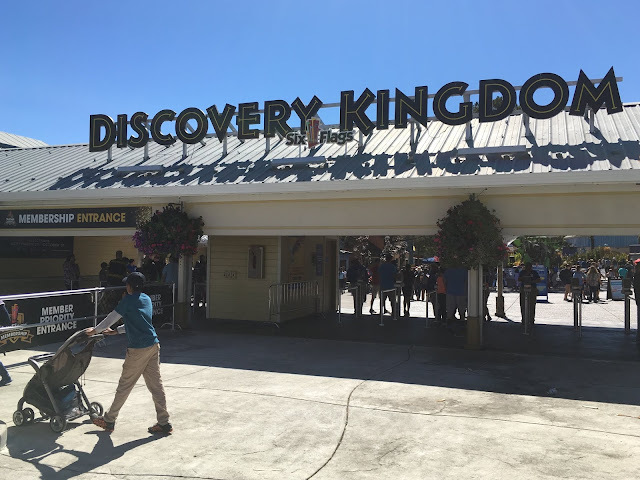 The ride’s advanced loading system design allows guests to quickly and easily board their vehicle at ground level from a moving station, eliminating the need to carry a tube. Also on tap for the 2017 season—a colorful, new Mardi Gras Festival, featuring 10 authentic New Orleans style parade floats, Mardi Gras themed food, merchandise and beautiful park décor. The Mardi Gras Festival takes place from March 24 through April 30. Six Flags Great America, the Thrill Capital of the Midwest, and Warner Bros Consumer Products, on behalf of DC Entertainment, announce plans for its 15th and most maniacal roller coaster to date, the all-new free-fly coaster, The Joker. This insanely twisted chaos coaster will be a massive new centerpiece in the Yankee Harbor section of the park, next to Batman The Ride roller coaster. 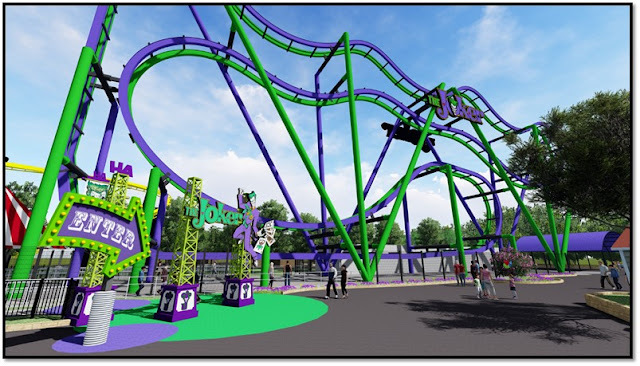 The Joker is expected to unleash total mayhem beginning in the spring of 2017, and join the ranks of a long line of legendary roller coasters at Six Flags Great America. Six Flags Great Adventure, in partnership with Warner Bros. Consumer Products and DC Entertainment, announces the addition of JUSTICE LEAGUE: Battle for Metropolis to its world-class lineup of thrill rides in 2017. In a high-stakes clash between good and evil, guests will become members of the Justice League Reserve team and engage in a full-sensory journey to save the city of Metropolis as they battle alongside Batman, Superman, Wonder Woman, Green Lantern, The Flash, Supergirl and Cyborg against Super Villains Lex Luthor and The Joker. 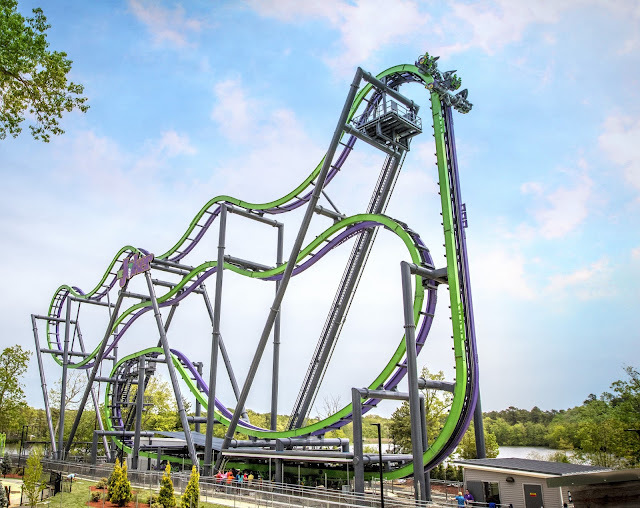 Six Flags New England, the Coaster Capital of New England in partnership with Warner Bros. Consumer Products on behalf of DC Entertainment, today announced plans to add its 13th coaster to the park, The Joker: 4D Free Fly Coaster. This unique coaster experience will feature theming based on the iconic Super-Villain The Joker and be located in the park’s South End. 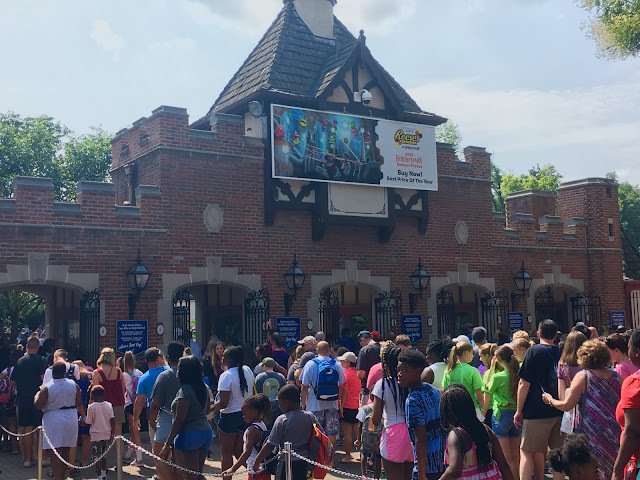 Six Flags America, in partnership with Warner Bros. Consumer Products on behalf of DC Entertainment, announced today a new addition to its already stellar lineup of thrilling rides and attractions. WONDER WOMAN Lasso of Truth, a 242-feet tall, sky-high swing ride and the tallest new attraction at the Nation’s Capital of Thrills will open in 2017. Based on the world’s most iconic female Super Hero, WONDER WOMAN Lasso of Truth is an extreme swing ride that spins guests in a 98-foot circle at speeds of 40 miles per hour atop a 24-story tower. With a capacity of thirty-two riders, guests sit two across in open-air swings as they climb to the top of the tower while spinning round and round, offering a breathtaking view while soaring high above the beautiful Maryland and D.C. landscape. WONDER WOMAN Lasso of Truth will join SUPERMAN Ride of Steel, Batwing and JOKER’s Jinx in offering thrilling experiences based on the world famous DC Super Heroes and Super-Villains. The colossal tower will be visible from every location in the park and will become a new iconic symbol of thrilling fun for guests of all ages. Six Flags Over Georgia — in partnership with Warner Bros. Consumer Products and DC Entertainment — today announces the next generation of interactive thrills with the all-new 4D interactive thrill ride, JUSTICE LEAGUE: Battle for Metropolis, coming in 2017. Engaging in a full-sensory journey on JUSTICE LEAGUE: Battle for Metropolis, guests will tag alongside BATMAN™, SUPERMAN™, WONDER WOMAN, THE FLASH and GREEN LANTERN against Lex Luthor, The Joker and his henchmen. 6-passenger vehicles with multi-degrees-of-freedom to transport riders through all the exciting twists and turns without limitations. Construction is already underway and JUSTICE LEAGUE: Battle for Metropolis is scheduled to open in the spring of 2017. 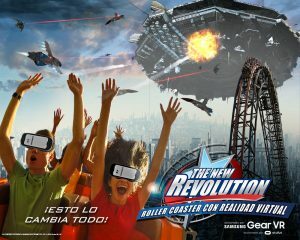 The New Revolution, North America’s first fully-integrated Virtual Reality (VR) roller coaster makes its Six Flags Mexico debut. Riders don Samsung Gear VR headsets, for a multi-dimensional virtual coaster experience. High-definition imagery and storytelling syncs with the unique track configuration of the Medusa Steel Coaster creating a one-of-a-kind seamless “real world” to “virtual world” thrill ride experience. Riders now become co-pilots seated in the cockpit of a true-to-life fighter jet, flying through a futuristic city in a battle to protect the planet against alien invaders, all while racing along the 3,300 feet of twisting, turning, looping coaster track. Six Flags Mexico guests will also be treated to the new Mardi Gras Festival, from March 17 to May 1, featuring authentic New Orleans style parade floats, complemented with delicious, traditional carnival food and merchandise along with colorful park décor. The Great Escape’s popular outdoor water park, Splashwater Kingdom, goes Bigger, Better and Wetter in 2017! The Great Escape today announced plans to add Bonzai Pipelines, a pair of dueling water slides, to its 2017 lineup. The attraction will boast the park’s first body speed slides delivering unpredictable twists and turns and huge water park fun. Perched 30 feet in the air, guests will race through nearly 300 feet of banking twists and turns uniquely designed to provide an adrenaline-charged body slide experience. 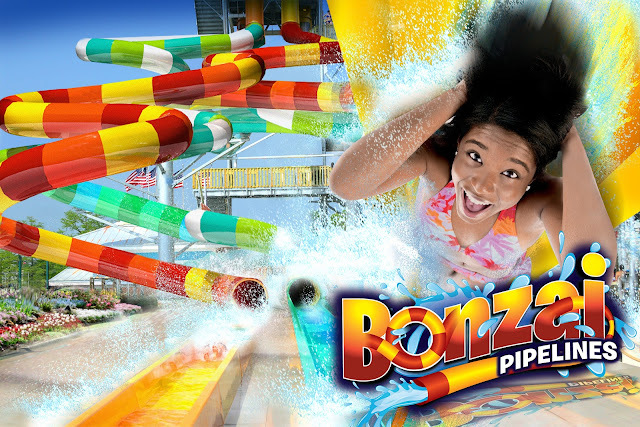 Bonzai Pipelines will feature two brightly colored twisting slides, becoming the 13th attraction in Splashwater Kingdom. The slides will complement the popular Alpine Freefalls in lower Splashwater Kingdom, offering thrill seekers the ultimate water park adventure. More information about Bonzai Pipelines will be released during a hard hat tour of the attraction’s construction site in the spring of 2017. That's all for now from Theme Park Overload! Make sure to "LIKE" our Facebook page to get Breaking News Updates delivered straight to your newsfeed! www.Facebook.com/ThemeParkOverload My name's Nicholous, and Thanks for Reading!